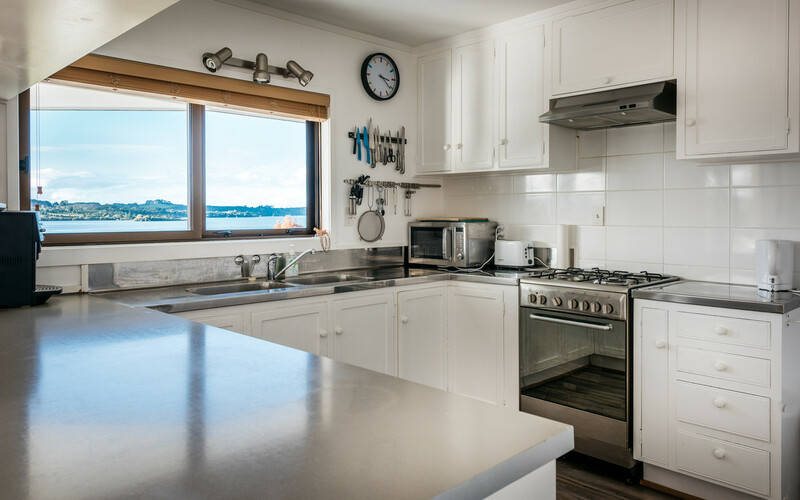 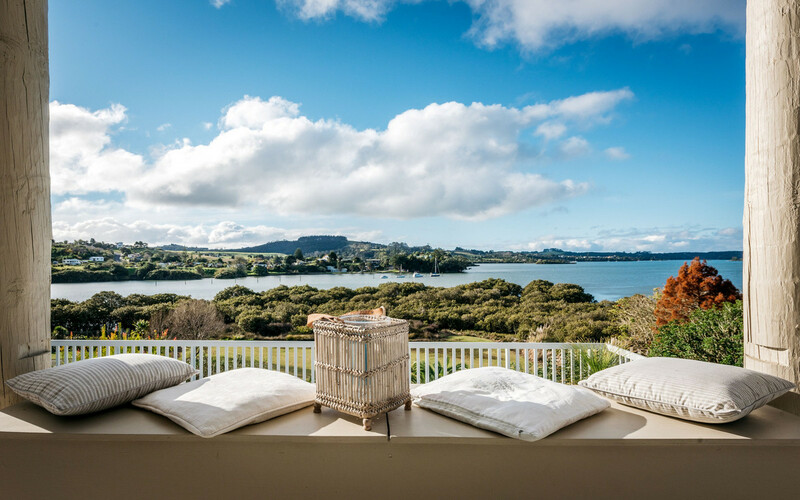 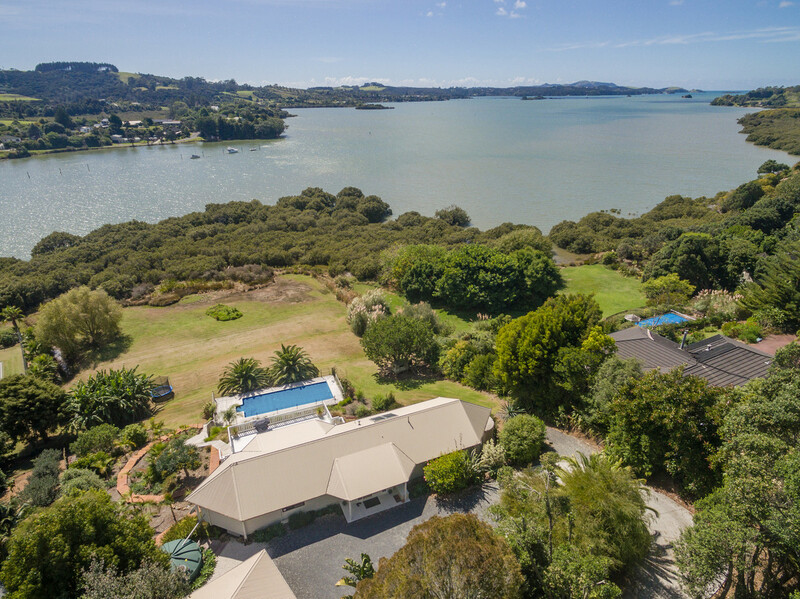 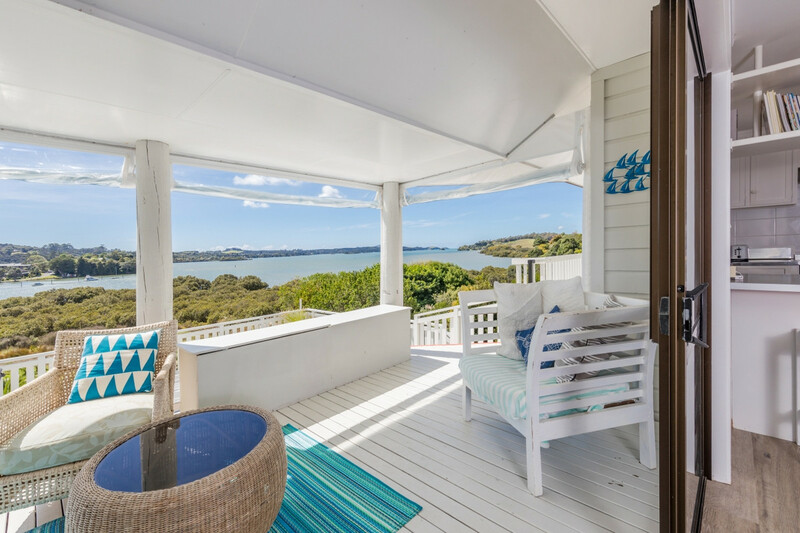 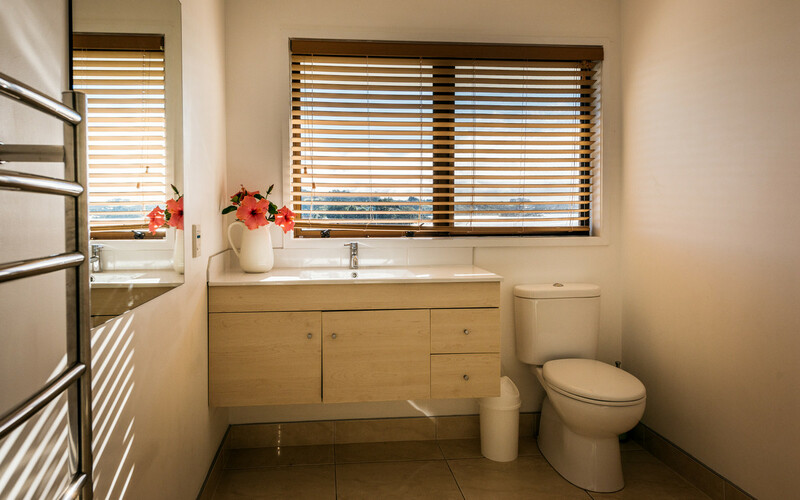 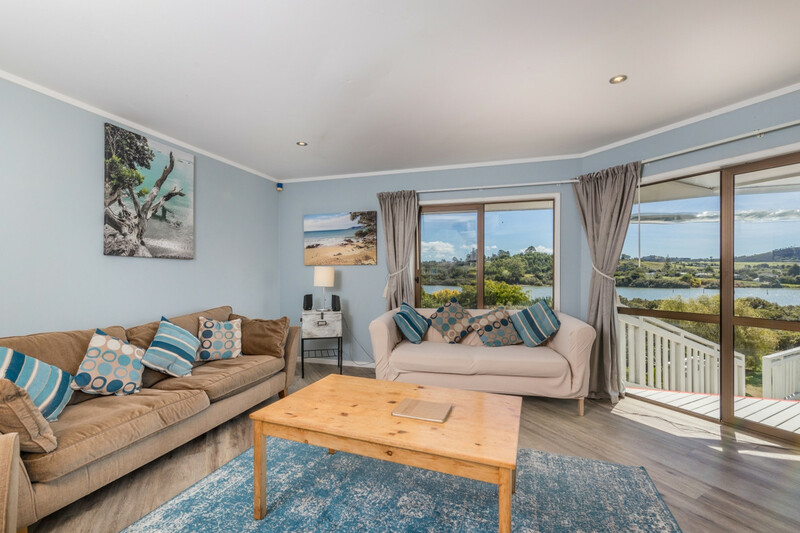 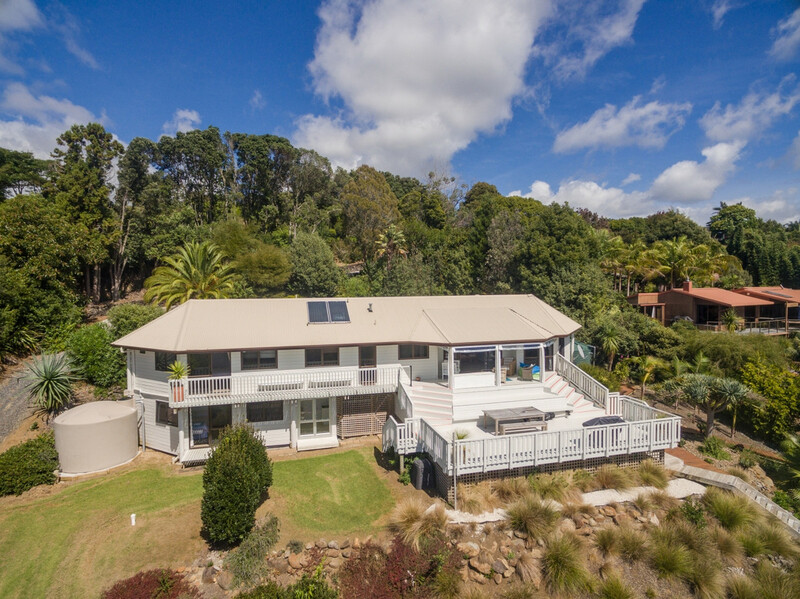 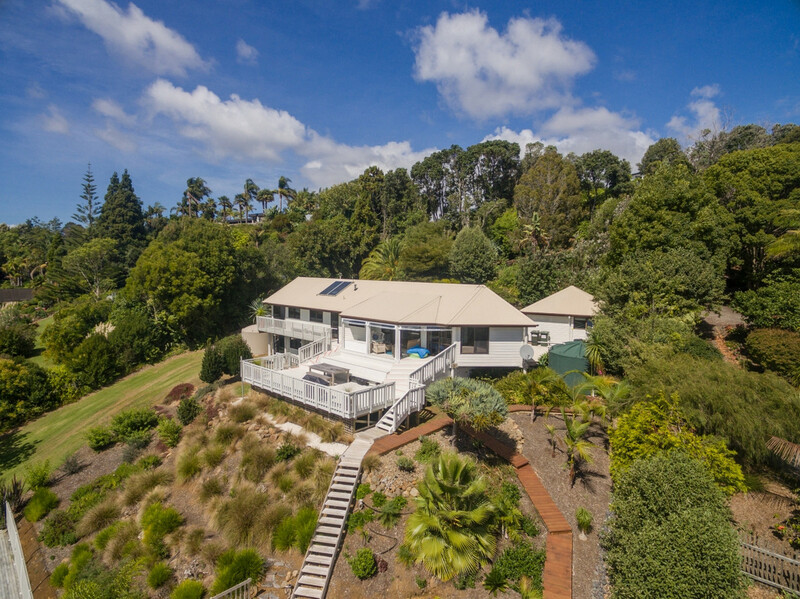 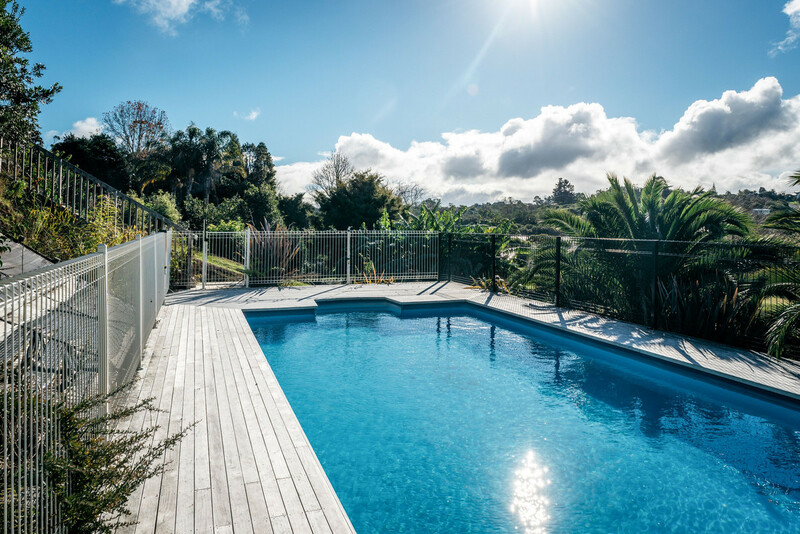 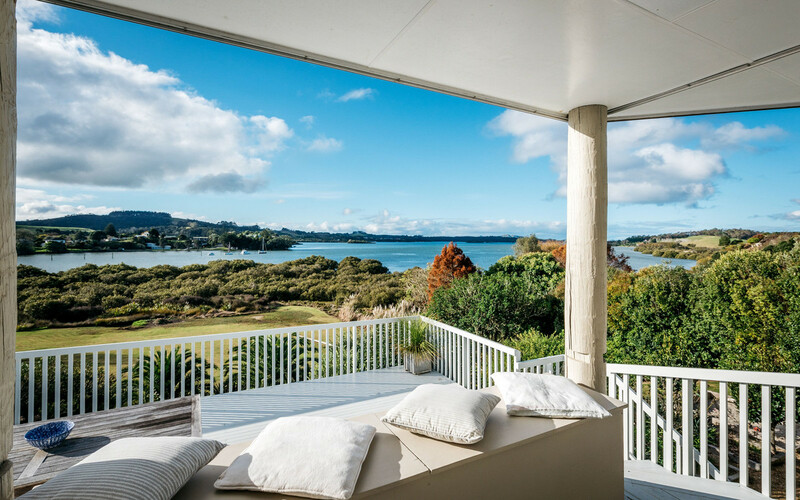 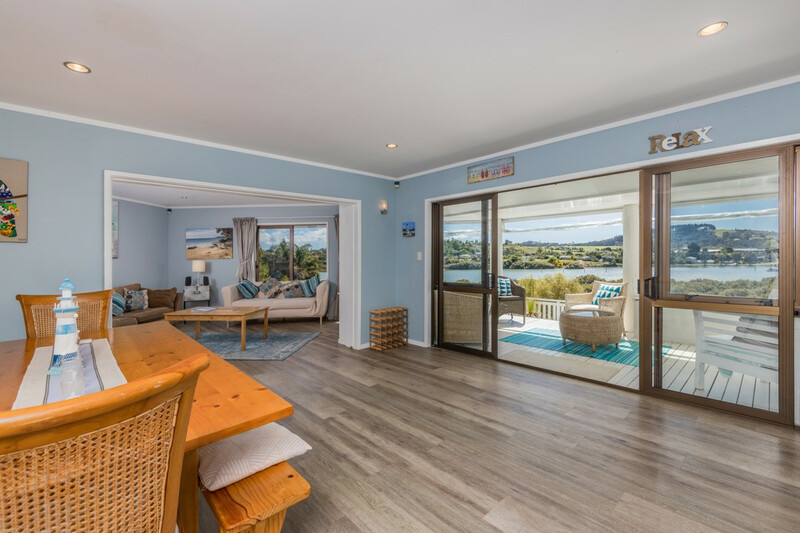 The Lookout is aptly named for its sheltered position with expansive views of the Kerikeri Inlet and Bay of Islands. 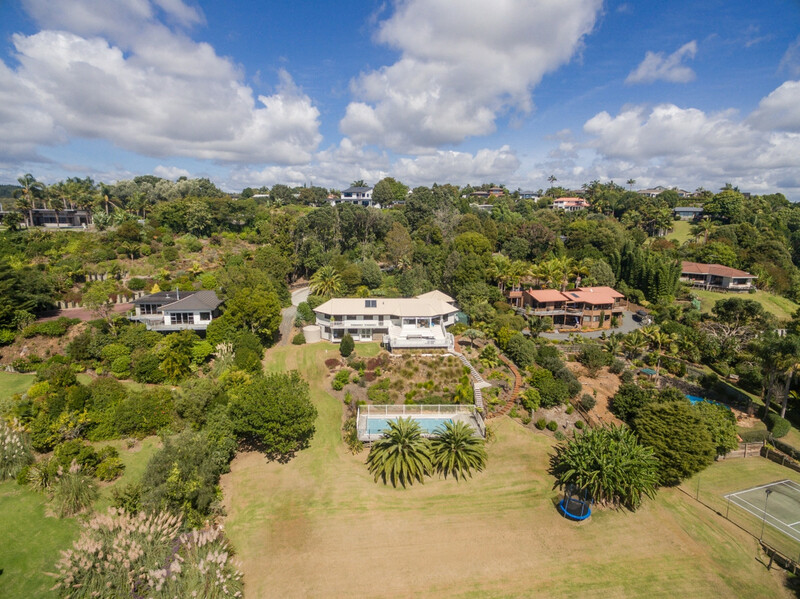 Facing north, down a quiet cul-de-sac the privacy and tranquility is a rare find so close to town. 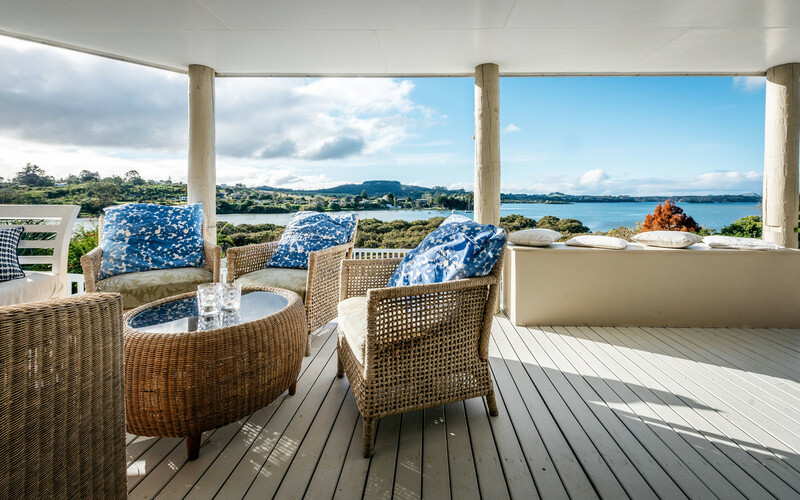 This stunning waterfront home is designed for living, both indoor and out. 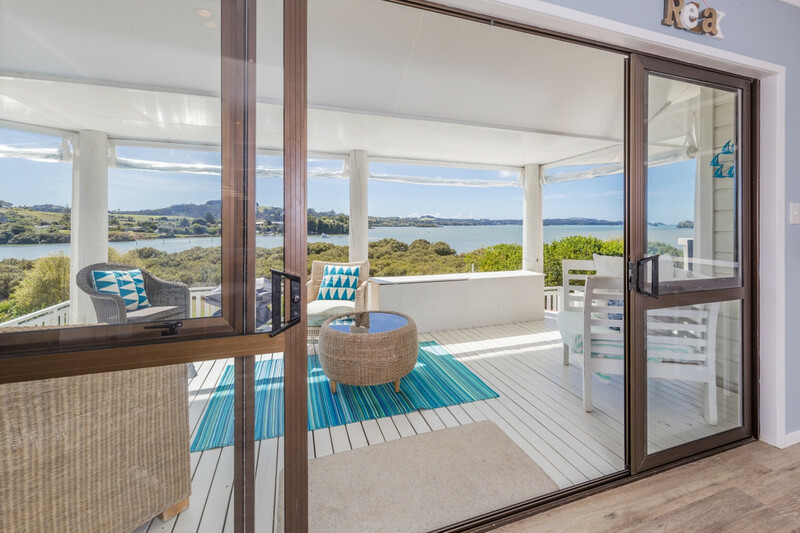 The open plan kitchen, double walk in pantries, large dining and lounge areas all with exceptional views leading out to the expansive sheltered deck area – overlooking the very large pool. 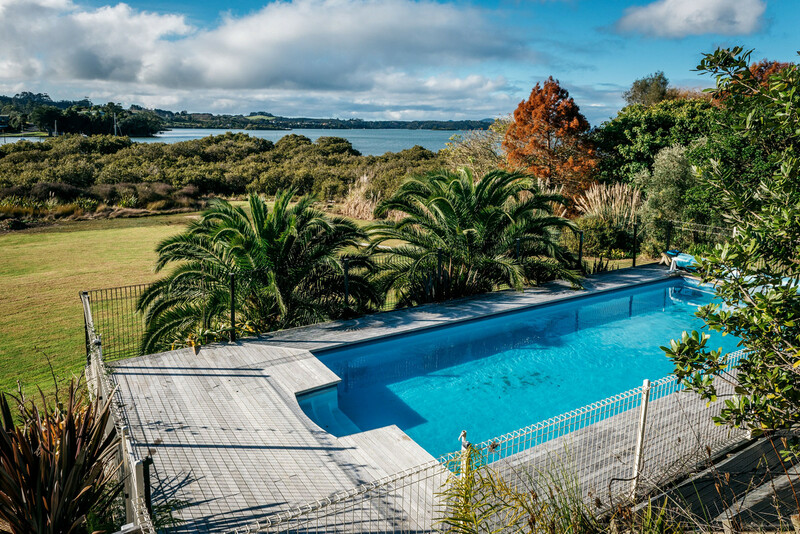 If you enjoy the gentle exercise of swimming this pool is made for you. 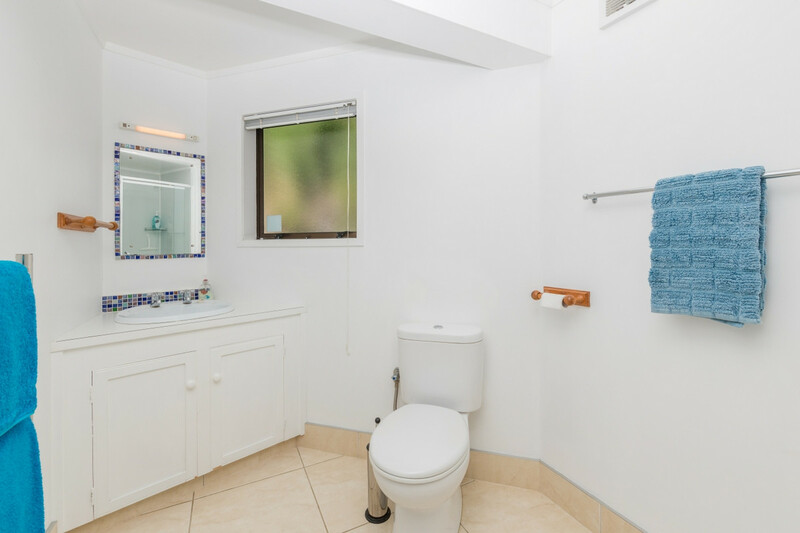 The accommodation consists of three double bedrooms serviced by a bathroom on each level. 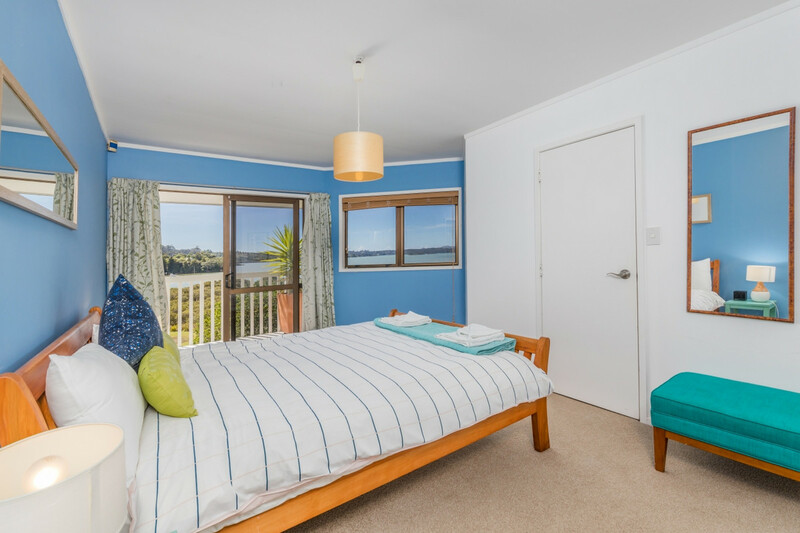 All bedrooms have their own fantastic sea views. 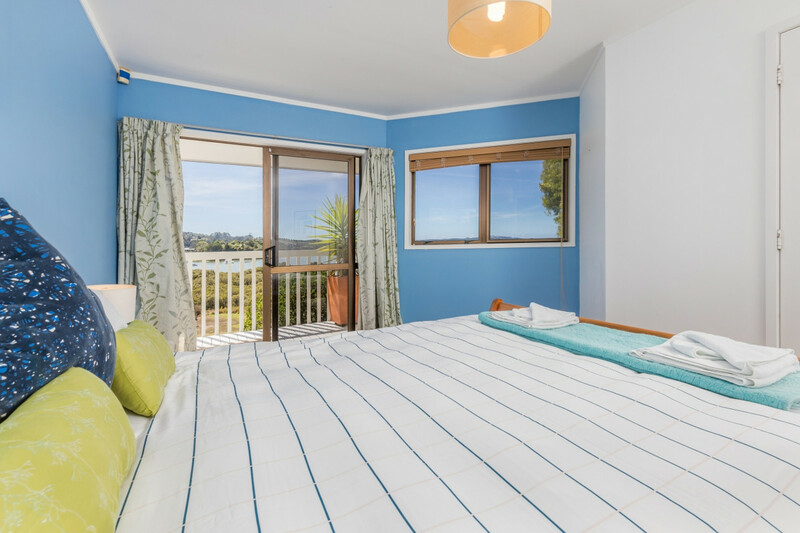 The upper level consists of master with walk in wardrobe and balcony access. 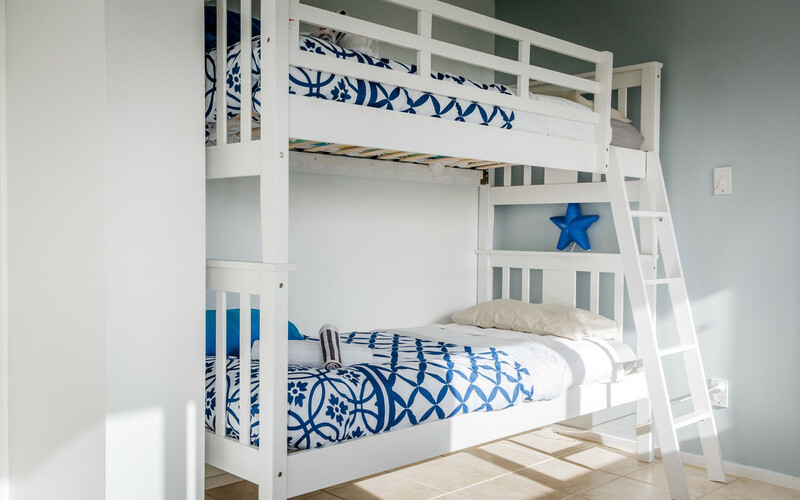 The second double bedroom currently is set up with bunk beds. 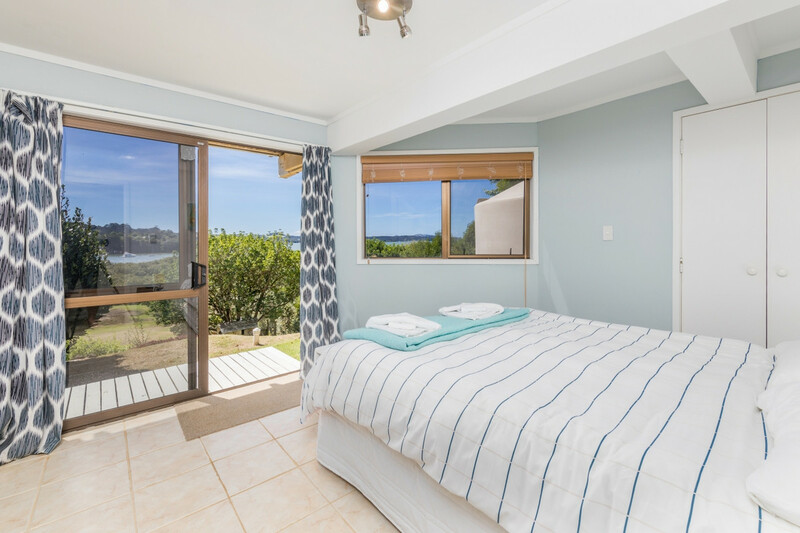 Downstairs the over-sized suite with its own external access currently hosts room for a couple and two single beds, providing space for visiting family and friends. 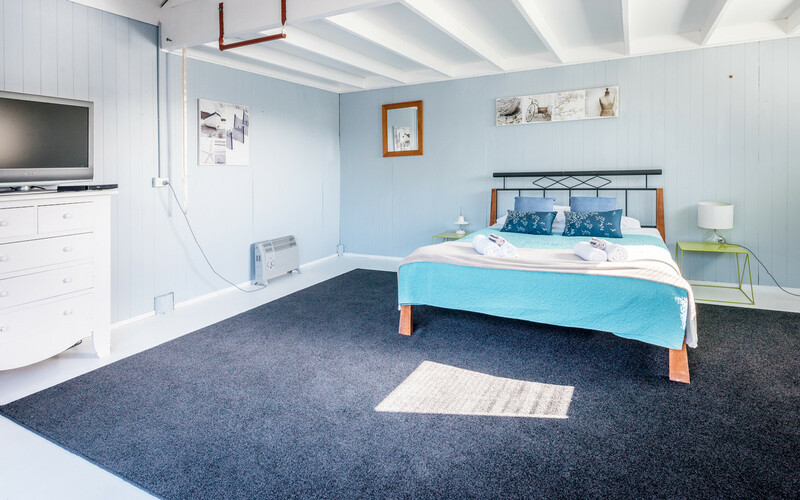 The accommodation doesn’t end there, with the garage currently set up as a sleep out for overflow accommodation or could easily be set back up as double garaging. 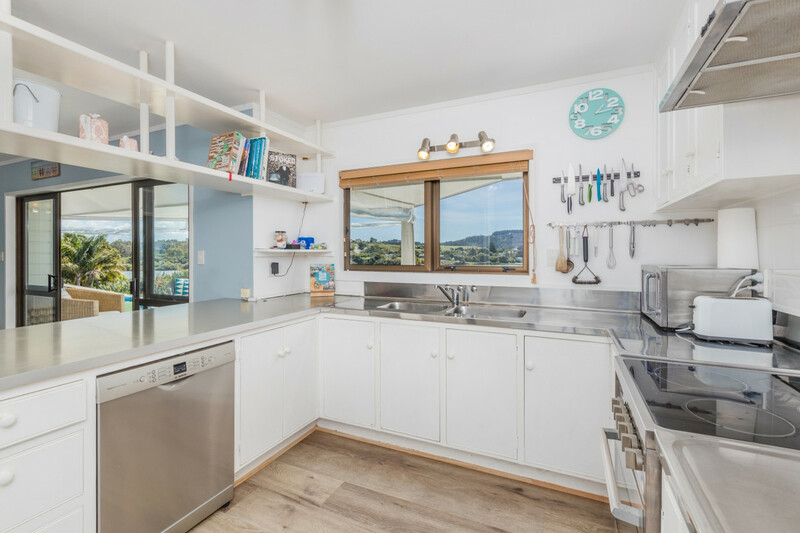 Not that parking space is an issue with ample level parking available. 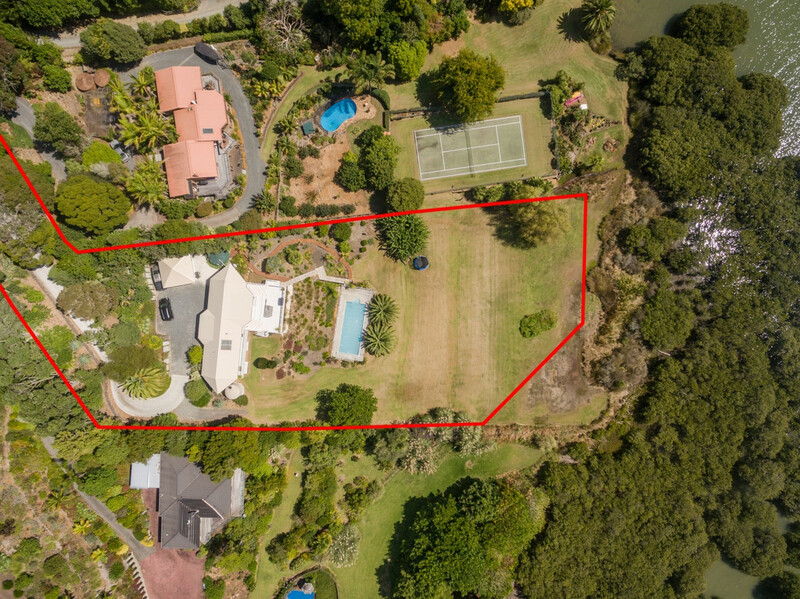 Situated on approximately 4,600m² of landscaped section bordering a coastal reserve. 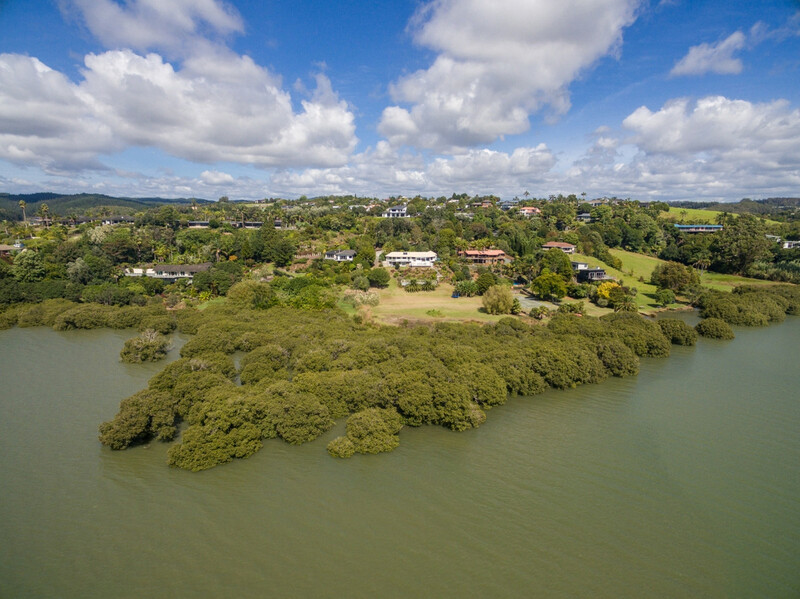 Where you can launch your kayak or dinghy to explore the sheltered Kerikeri Inlet. 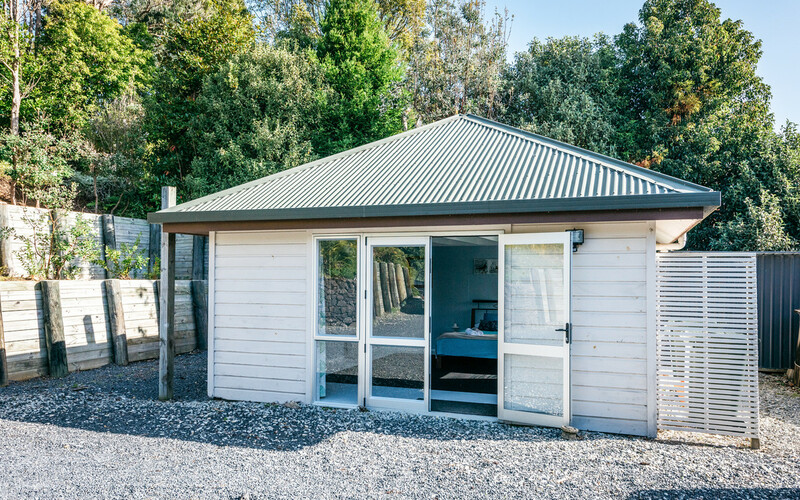 The residence is currently being let as a BnB and is generating very strong income. 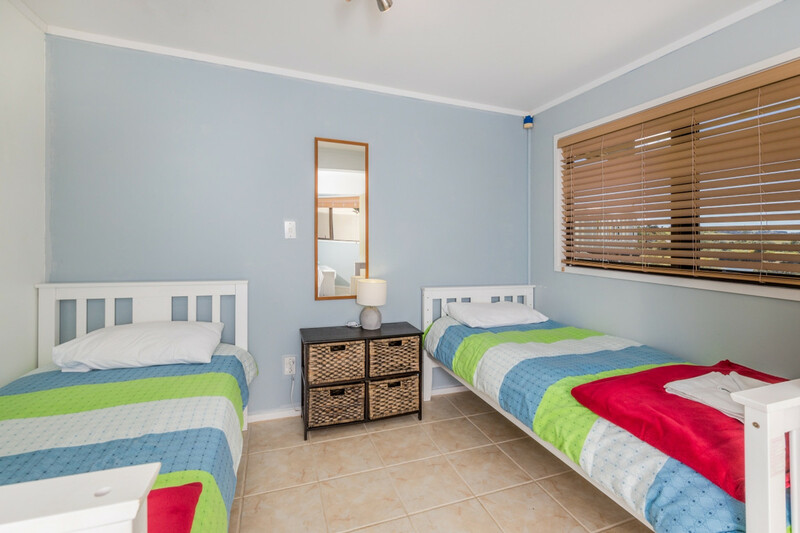 This is an ideal family home, holiday home or investment from BnB income. 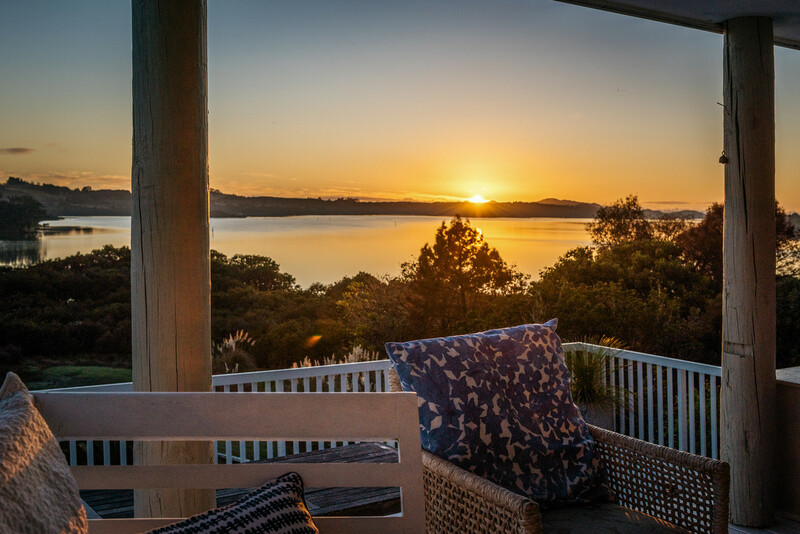 They say position is everything; in this case it will be possession. 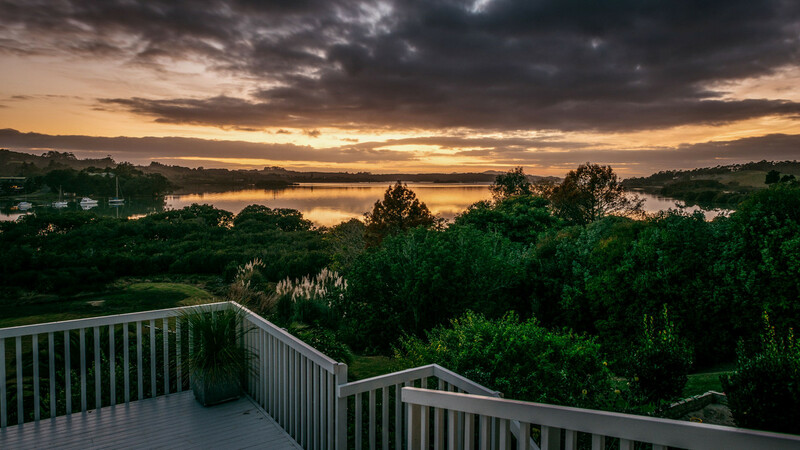 With BnB bookings in place reserve your private viewing in advance so not to be disappointed.